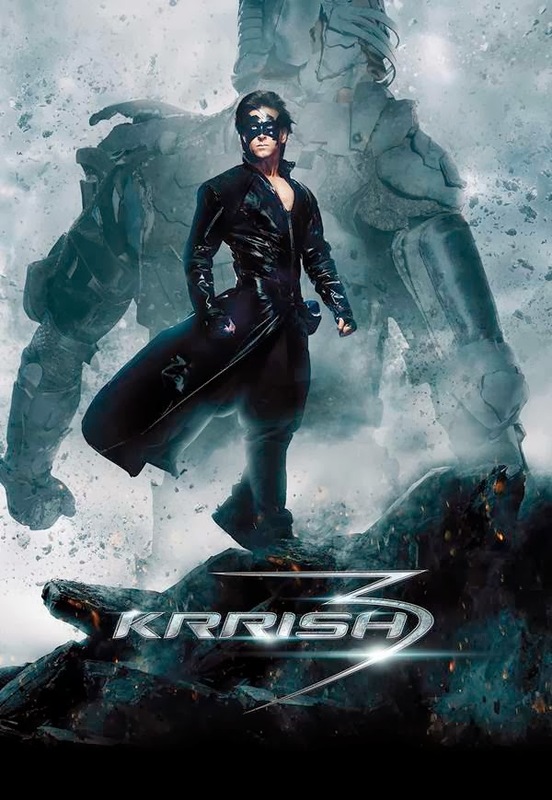 "Krrish-3 is a technical marvel and all those doubting whether the homegrown superhero and visual effects would really match up to the international levels or look outright tacky would stand vanquished. The super scientific non-fictional work pursued in the Bollywood, and Hollywood flicks always has been fascinating. The unthinkable design to manipulate one’s subconscious in no doubt is intriguing and adorable. Among the Indian Sci-fi flicks Krrish was the first flick through, which we claimed our first Indian superhero and we loved him. There began a new era of superhero flicks but unfortunately all others faltered in their execution. However, the artificial special effects won all the applause but by any means that isn’t enough to make such a perfect Sci-fi action thriller. Taran Adarsh from the Bollywood Hungama has rated the movie 4 and a half star out of five and according to his review, movie is a blockbuster. He says, "Krrish-3 is a technical marvel and all those doubting whether the homegrown superhero and visual effects would really match up to the international levels or look outright tacky would stand vanquished. Watch it to believe it, is all I'd say! On the whole, Krrish 3 has the ingredients that make a splendid superhero film, besides being Rakesh Roshan's most accomplished work so far. Besides a riveting plot, the film scores brownie points thanks to the strong undercurrent of emotions, the clash between the protagonist and antagonist/mutants, the awe-inspiring visual effects, the larger-than-life entertainment and of course, Hrithik Roshan, who is matchless in this Avtaar. It's a Diwali bonanza for moviegoers across the globe and is sure to conclude the celebratory period on a high." Subhra Gupta from Indian Express has rated the movie below Average with only 2 stars. Hrithik is the perfect choice amongst the Bollywood superstar lot to do this role. With his superbly articulated chest, each muscle moving and shiny and oiled, Krrish doesn't even need a mask and a cape. But the ensemble is eye-catching, and we ignore his immaculately-styled long hair, flying in the wind, when he is whizzing about rescuing little boys. Roshan Jr is as likeable and earnest as he usually is, but can't rise above the mothballed treatment. Roshan Sr, who has written and directed, should have given the superhero more to do.